PDF rotator applications provide you with the best opportunity to have full control over PDF files. Along with other services such as splitting, cropping, inserting, background changing, extracting to add watermarks or deleting PDF files, PDF software offers the tools to transform your working environment. If you want to rotate PDF for free, these software programs empower users and let them avoid the well-known hassles you may face when working with PDF files. PDFelement ProPDFelement Pro is one of the best PDF rotator software tools available for download. It comes with a number of editing tools, making it a one-stop-shop for all your PDF editing requirements. These include adding watermarks, text, annotations and more. 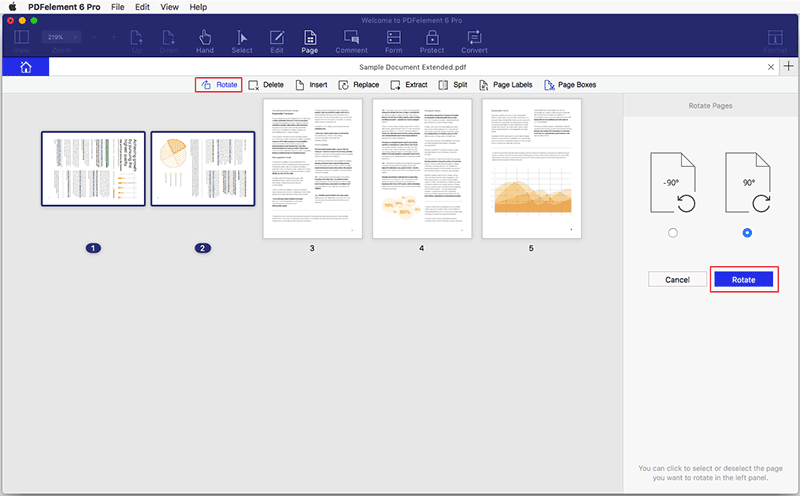 This PDF editor allows you to join, move, link, split blocks of texts and use advanced and unique text editing capabilities. Plus, you won’t need to worry about losing the original layout and formatting of your PDF file. It allows you to create PDF files from scratch and easily convert them into your desired format. The comment feature enables you to insert text comments as well as sticky notes. Text can be highlighted with ease using Area Highlight and Text Highlight. You can share files quickly through Dropbox, Evernote, direct Email and Google Drive. You can also add the maximum protection. This software allows you to convert, edit and copy image-based files. Speedy conversion and excellent file compression. It supports almost all business formats including Word, Excel, text, PPT, image, EPUB and HTML. Helps users create forms which can be easily filled using any other standard document viewing software or even a web browser. With an upgraded user interface, PDFelement Pro is easy to use and very user friendly for beginners. It has the ability to rotate your PDF pages to different angles (0, 90, 180 and 270). Even though the trial version is available for free download, you have to purchase the full version in order to enjoy the full functionality and benefits. Bluebeam Vu allows you to view, navigate, fill out, save, digitally sign, and rotate PDFs for free. You can also connect to Revu's cloud-enabled solution, which is the Bluebeam Studio that allows you to access files that are stored in the Studio Projects in real time Studio sessions. You can view files as a single document. Vu's Markup list technology enables you to locate comments and markups that are added to your PDF files. It has a powerful search capability that enables you to search for graphics or keywords within the PDF content with ease. Vu allows all users to open, fill out or save PDF forms with ease. Vu has a fantastic interface which is simple to navigate. It can batch convert PDF files into BMP, EMF, GIF, ICO, PCL, PNG, PSD, TIF and WMF files. Users can sort their files by using file names or page levels and set the filtering options for revisions in a way that they are able to see the recent document versions with ease. May be challenging to use, especially for beginners as some features are hard to use without training. Smallpdf is a free online PDF rotation software, viewer, and editor. It has the ability to rotate your PDF files permanently at 90,180 or 270 degrees in a clockwise and counterclockwise direction for free. Rotate PDF documents with ease. Help users encrypt and decrypt PDF files. Convert PDF files into editable original content. All connections and file transfers are secured with a 256-bit SSL encryption. It rotates PDF files in a proper and efficient manner. You can rotate PDF pages in a specific page range. This online PDF software can view and edit PDFs, but it cannot create them. PDFsam is one of the most reliable and trusted PDF rotator software programs for rotating, viewing, converting and printing PDF files to JPEG, TXT, BMG, PNG, TIF, GIF, TIFF and more. Supports PDF rotation, zoom in and zoom out, PDF slideshow and full screen. Supports Windows, Mac, Linux and other operating system where a Java Runtime Environment (with JavaFX) version 8 or above is available. PDFsam is secure. If a file is infected with a virus, it will load the secure section only. Standalone software, Adobe software, and Acrobat are not required, in order to use it. 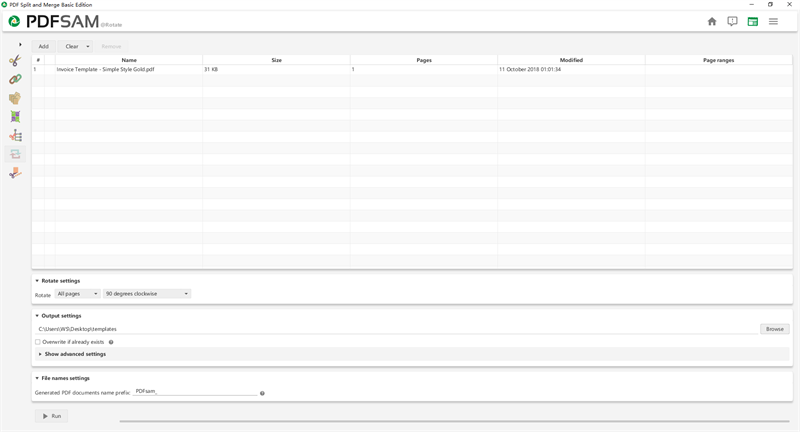 The interface of PDFsam is a bit complex and difficult, unlike other programs with more user friendly interfaces. 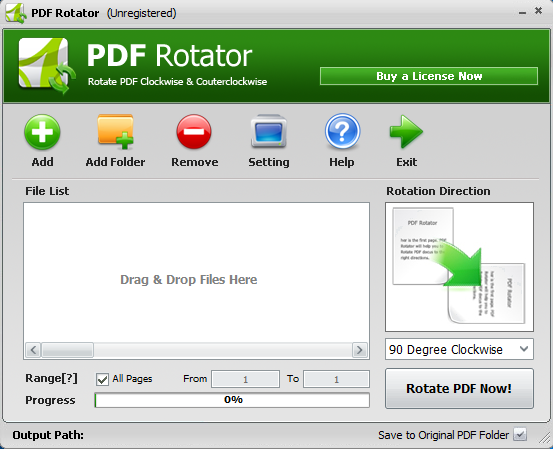 PDF Rotator is free software that rotates PDF files simply and permanently at 90 or 180 degrees, either clockwise or anticlockwise. It also lets you save these files after rotation. Rotates PDF files in bulk. You can import complete PDF folders in the software’s interface. It can rotate documents in batch mode. 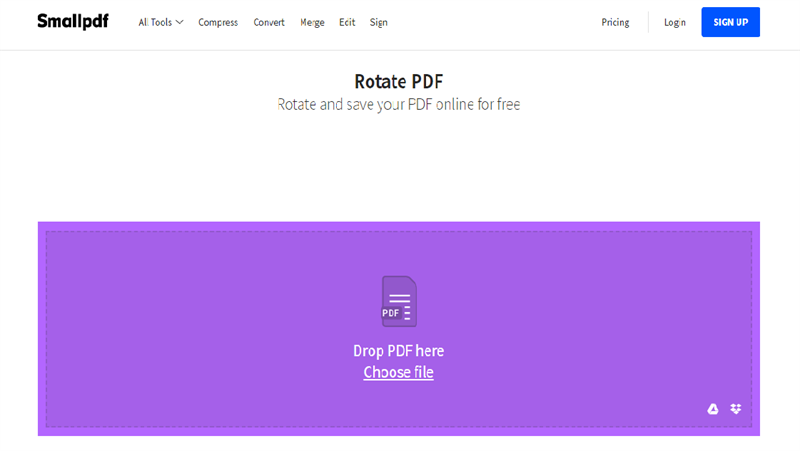 PDF Rotator is portable and lightweight. You have to buy the full version in order to enjoy 100% full functional use. Where Can I Download PDF2XL for Mac OS X? Foxit PDF Editor Not Working on Mac OS X El Capitan? Fixed!